Are your worried that your kids may be spending too much time in front of the computer, TV, iPad, or video game? The first thing both my kids (age 3 & 9) say when they wake up is, “Can I play the iPad?” This is before going pee, before breakfast, and before getting ready for school (or camp over the summer). I’m lost at how to implement a responsible screen time limit for them. 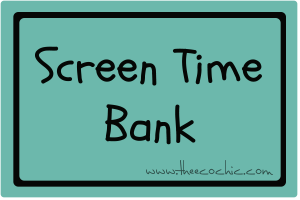 I’ve decided to give the “Screen Time Bank” a test drive this week. Each day they will both receive 3 quarters to redeem for screen time. Each quarter will equal 20 minutes of screen time on their choice of device (TV, computer, iPad, etc). You must be dressed for the day before redeeming. You must have eaten breakfast before redeeming. Your teeth must be brushed before redeeming. You can only redeem one coin per hour. No rolling over unused minutes. You can lose coins for misbehaving, not following directions, or for cranky attitudes. You may save coins for another day. 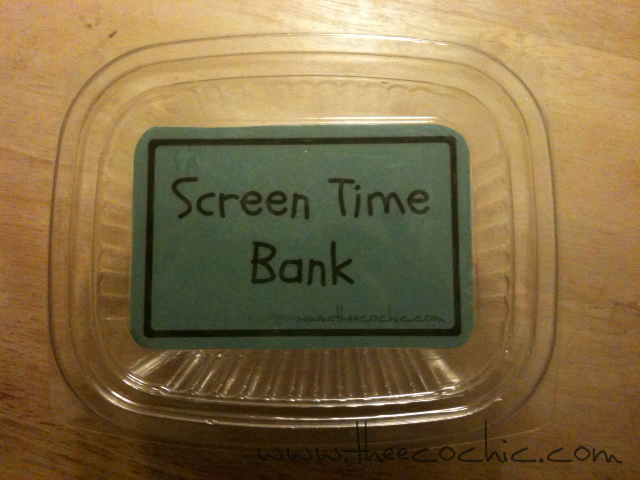 To make your Screen Time Bank start with an empty take-out container, jar, or bottle and attach the special screen time bank label (available for download) to the front (or top) of your container. 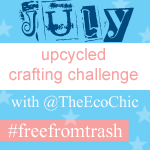 I used an empty take-out container and a little Mod Podge to apply the label. 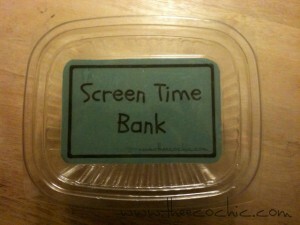 How do you monitor your child’s screen time? What has worked for you?